In-Stock Mazda At Staff PRICE! 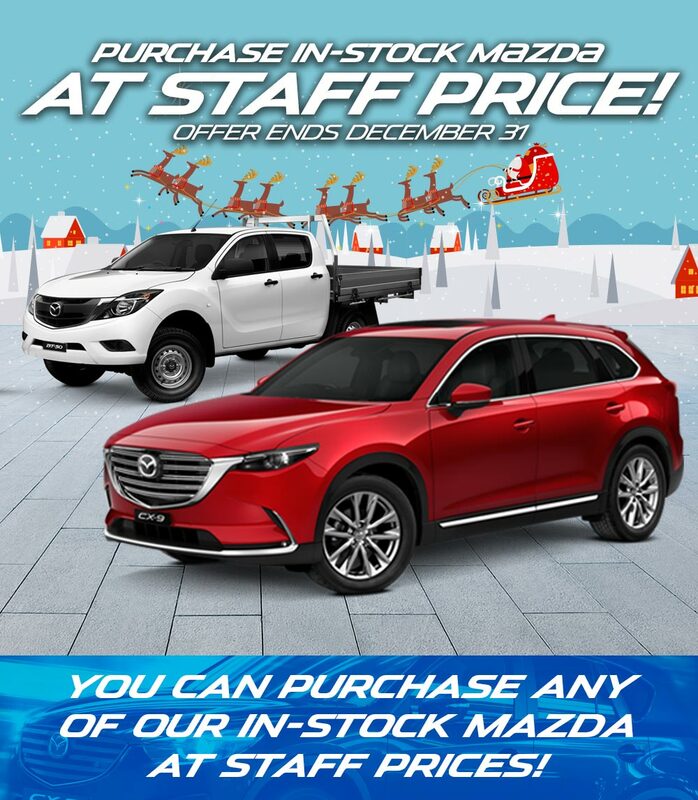 This December you can purchase any of our in-stock Mazda’s at Staff Price. Hurry whilst stock last, offer ends 31st December.